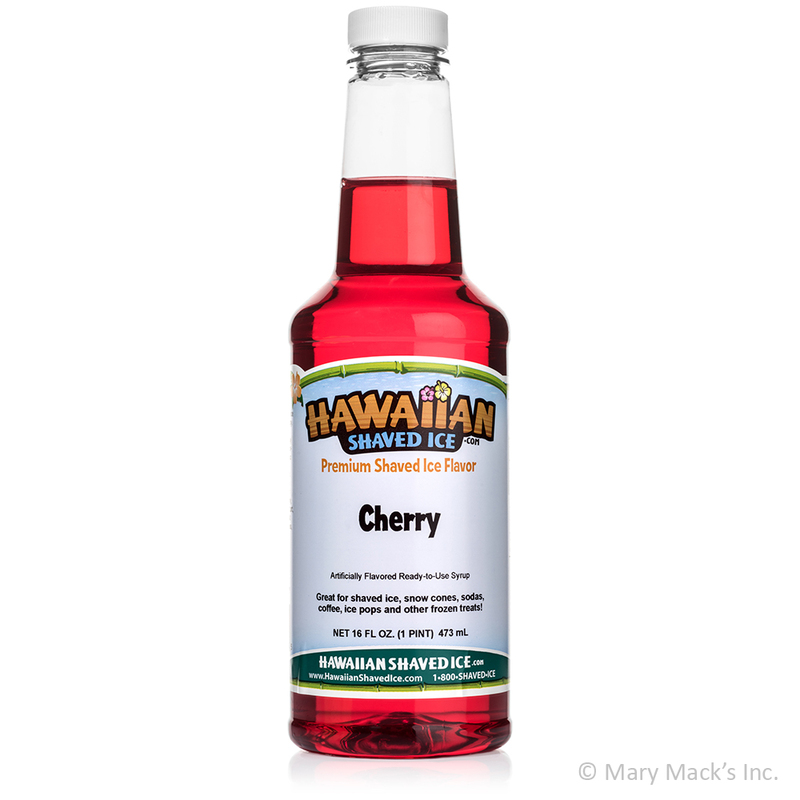 Out of all of our shaved ice and snow cone syrup flavors, cherry is the best-selling flavor available at Hawaiian Shaved Ice. 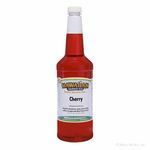 It has the gorgeous, bright red color of a real cherry and the same juicy taste. The perfect balance of sweetness and tartness is tempting for kids and adults, making it a lovely addition to any occasion. Many would agree that fresh, fluffy snow cones and shaved ice aren�t complete without the literal cherry on top! Cherry shaved ice and snow cone syrup is a classic flavor that has undoubtedly stood the test of time. Try some today and you�ll immediately understand why this is true. It will most likely become one of your staple syrups. Our cherry shaved ice and snow cone syrup is available for your convenience in individual ready-to-use pint, quart, and gallon size containers or as part of a variety pack. 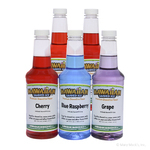 Be sure that you�ll always have just the right amount in stock whenever you want!